Proper care of your Down and Feather products is simple and will ensure that your products remain functional for many, many years. You will know that you definitely are getting your money’s worth. 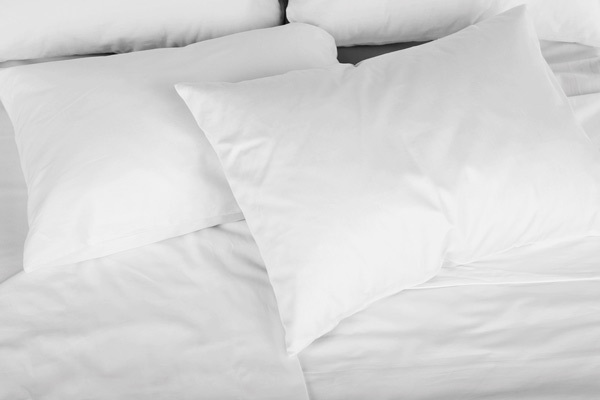 It is not recommended to dry-clean a duvet or pillow, as the chemicals are quite harsh and may have an adverse effect on the quality of the down. You have just made a very wise decision to own a Natural Fill Pillow. Properly looked after, this pillow will give you many years of comfort and satisfaction. In order to keep your pillow clean and prolong its life always use a Pillow Protector and a Pillow Case. Your Pillow can be washed in your own home washing machine using regular household detergent. It is recommended to use warm water wash and cold water rinse, and when possible wash two Pillows per load to balance the weight. After spin drying, dry at medium to high heat in your household dryer. This may require three to four drying cycles until completely dried. You will be amazed how your pillow will spring back to life. How often you will have to wash your pillow depends on usage. However, once a year is recommended. Periodically between washings, your pillow should be aired out on a low humidity day. Congratulations for you have just made a very wise decision to own a Genuine Down Duvet. Properly looked after this Duvet will give you many years of comfort and satisfaction. You can wash your Duvet yourself, BUT A WORD OF CAUTION, be sure it is done in a large commercial front-load washer for the reason that the Duvet is large and generally household washers cannot properly do the job. Furthermore, agitators can rip the channels or baffles in the duvet, which would result in down spillage. Properly cared for, cleaning every two or three years is all that is required, but this depends on usage. Periodically between washings, your Duvet should be aired out on a low humidity day. Put away all of your blankets. they are no longer needed to keep you warm on cold winter nights. Your Duvet is all you need. Most outwear can be washed in your own home washing machine using regular household detergent. It is recommended to use warm water wash and cold water rinse. After spin drying, dry at medium to high heat in your household dryer. This may require three to four drying cycles until completely dried. You will be amazed how your jackets or vest springs back to life. Large Down Parkas and Coats may be too large for your home washing machine. These should be laundered by a reputable dry cleaner or washed and dried in front loading commercial machines. How often you will have to wash your outwear depends on usage.